"Automotive repair doubles as grief therapy in Barkley's quirky, emotionally resonant third novel (after Money, Love) set in a small town in West Virginia, where a newly widowed young woman tries to delay putting her life back together. Alison Durst is the witty, 30-ish protagonist who's become a semipermanent guest of her sister Sarah and brother-in-law Bill ever since her husband died in an accident. She's already spent two years in mourning, and in spite of Sarah and Bill's pleas that she get on with it, Alison makes yet another bid to prolong her suspended state: she's going to rebuild her brother-in-law's broken-down Corvette, and then she'll leave. Of course, she knows nothing about cars. Sparks really start to fly, however, when Max Kesler, the owner of a one-man munitions company, comes to help her with the project. Their initial dates are as explosive as they are funny, with Alison accompanying Max while he blows up a silo and then scopes out the hotel that may be his next target...The icing on the cake is the author's touching portrayal of smalltown life in West Virginia"
"Barkley is back and he has a winner....With car repair as metaphor, we learn much about forgiveness and hope; the differences among facts, lies, and truth; and the grand importance of how and with whom our life journeys are made. Barkley steers this one straight into our hearts." 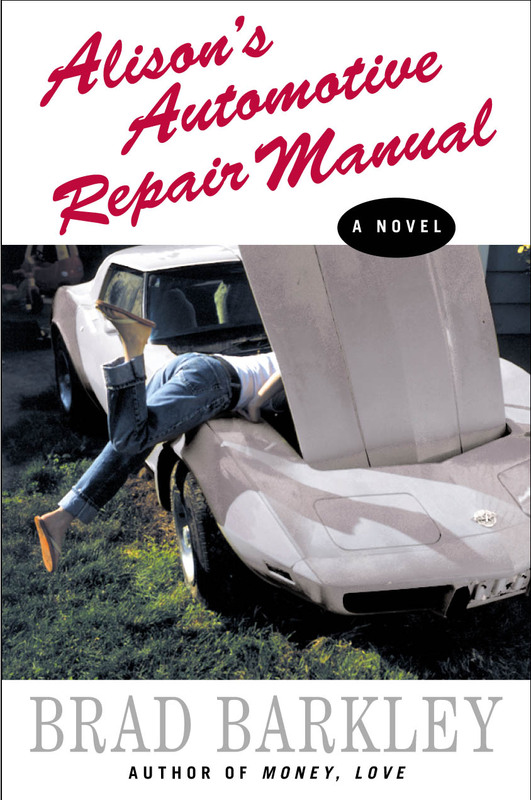 "Beguiling and utterly original, Alison's Automotive Repair Manual is a modern fable of love and community." "A beautifully written, tender evocation of love and loss." "...rich, humorous writing...He casts a gentle light upon the kinds of characters you wish you were coming home to." "A virtuoso balancing act. . .underline this writer as one whose work needs to be on your shelf. You will much the better for it." "This is a wonderful novel. . .a how-to lesson in life. . .Barkley is a gifted writer."